But the degree to which Wi-Fi is likely to be the limiting factor for any given connection is shrinking. Wi-Fi has evolved quickly over the past few years, so much so that it can seem like wireless is outstripping wired networks in terms of raw capability. So is Wi-Fi, finally, “fast enough?” The answer, unsurprisingly, is pretty complicated. In practice, however, production hardware rarely comes close to the theoretical maximum throughput. Multiple clients, interference, and a host of other issues means that the actual rate at which wireless access points can move information around is far below the theoretical limit. Greg Ferro, a well-known networking analyst who blogs at Ethereal Mind, told Network World that the concept of “speed,” as applied to wireless networks, is a lot more complicated than it is for wired ones. What this also means is that higher data rates can help contribute to modern Wi-Fi’s biggest problem – density. 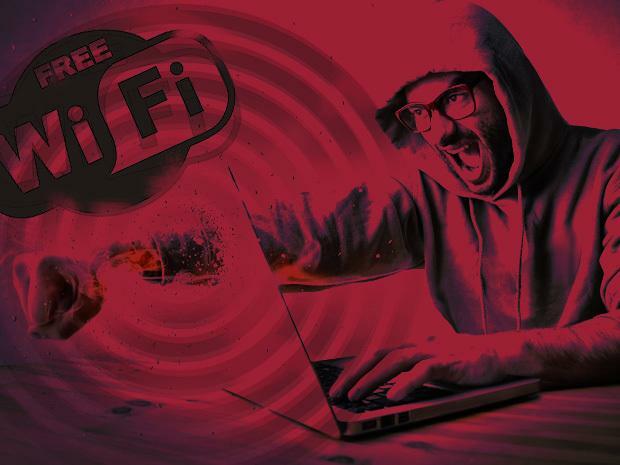 Joel Coehoorn, who is the director of IT at York College in Nebraska, says there are three key problems that make rated maximum Wi-Fi throughput figures largely useless. First, the stated maximum speeds are frequently the product of unusual configurations that would be unsuitable for use in the real world, and that most client devices aren’t set up to handle them anyway. Second, many people don’t realize that an access point has to support the lowest data rate client on its network, he noted. If, for example, a router capable of 150Mbps is supporting four clients, all of which are trying to download a 100MB file, the client that’s only capable of 24Mbps will limit the other clients to that speed, since the router will have to “speak 24Mbps” during that download. “This one download which could have taken only about five seconds worth of air time on the channel now used six times as much,” he says. Finally, of course, multiple clients will consume their own slices of bandwidth, dividing the possible throughput of a given connection by the number of clients on an AP – a problem that’s mitigated with wired connections, which are generally full-duplex. For Coehoorn, while technological improvements have made Wi-Fi considerably faster and better able to handle the demands of its ubiquity, it’s still going to be a bottleneck in certain situations. “Older clients, and fundamental limitations will continue to mean wired networks outperform wireless, even when the wireless has a higher raw data rate,” he says. Craig Mathias, a wireless expert and Network World contributor, says that fully optimized wireless implementations that use 802.11ac Wave 2 gear should be able to handle most workloads for the next five years or so. However, he cautioned, demand can be difficult to predict. And Mike Leibovitz, director of the office of the CTO at Wi-Fi vendor Extreme Networks, concurs, saying that the desire for better and faster among CIOs is pushing demand higher.